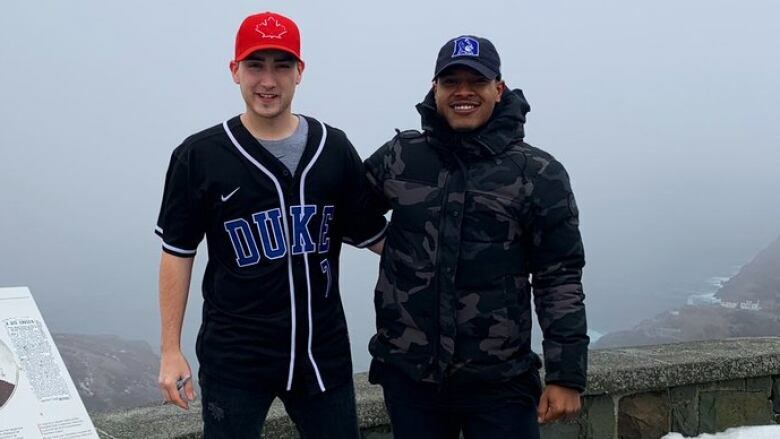 When Patrick Dove saw Blue Jays pitcher Marcus Stroman was visiting St. John's on Monday, he couldn't miss a chance to meet one of his favourite baseball players. 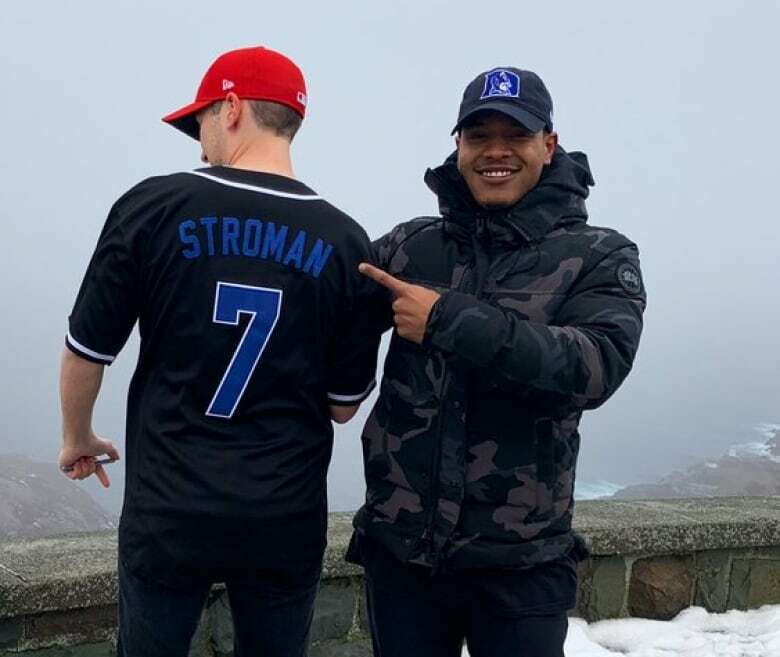 When Patrick Dove saw Toronto Blue Jays pitcher Marcus Stroman was visiting St. John's on Monday, he couldn't miss a chance to meet one of his favourite baseball players. "I figured if anyone's coming to St. John's just for a trip, what's the one place you're going to go visit?" said Dove. "Marcus is all about the views … so I drove up to Signal Hill." Dove said he parked his car and walked around and waited around awhile, but the area was deserted on a cold and foggy November day. "Then, all of a sudden, Marcus just runs up, jumps on top of this stone fencing there to take a picture," he said. For Stroman, who's touring the country as a brand ambassador for airline CargoJet, it just started out as a chance to see some local history and visit the site where the first transatlantic wireless signal was received. "We get to Signal Hill — nobody there, freezing … and for some reason, I was like, I'm going to run up here and just try and get the best picture from the highest angle, and when I run up there — nobody around — I stand up on the thing, look to my right, Patrick's there," he said. "It was desolate, there was nobody up there besides me, it was empty, and I look to the right — hat, Duke baseball jersey." That jersey was for Duke University in North Carolina, where Stroman played college baseball, with his name and number sewn on the back. It's a rare jersey, one that even Stroman himself hadn't seen for a while. "I'm not going to lie, I wore that one time. I had one Friday night start in that [jersey] in 2013," he said. The two spent some time together and took a few photos, making the Blue Jays pitcher's first trip to Newfoundland a memorable one. "I've had some pretty special moments in my career as far as fan interactions, but this is probably the craziest,' said Stroman. "I've never been in this area, I'm going to see this thing I've never seen before.… I'm literally just grabbing a picture, and I look to my right and he's there." And for Dove, his swing to meet a favourite player was a grand slam. "I was shocked, really," he said. "It was pretty cool, pretty cool moment." 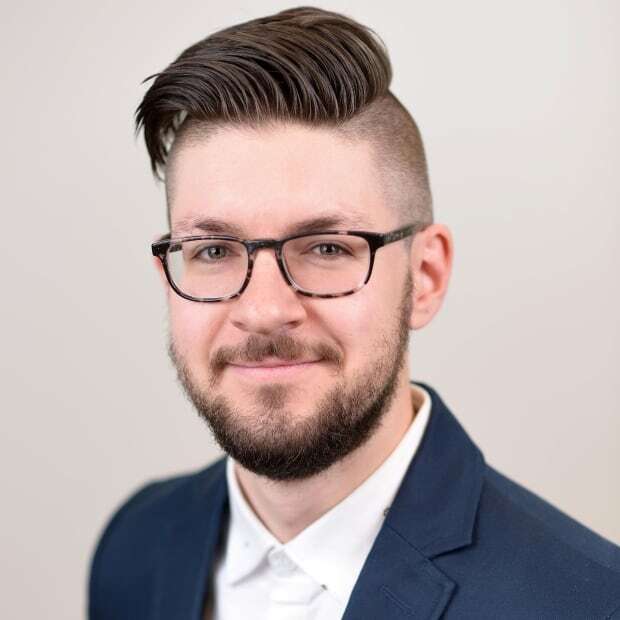 Lukas Wall is a journalist with CBC Newfoundland and Labrador in St. John's.